Drop in – 4 years and above – £3 per child Animal-themed crafts and games for all the family. Make an animal mask, take home an elephant, solve a word game, colour, stick, make and play ! 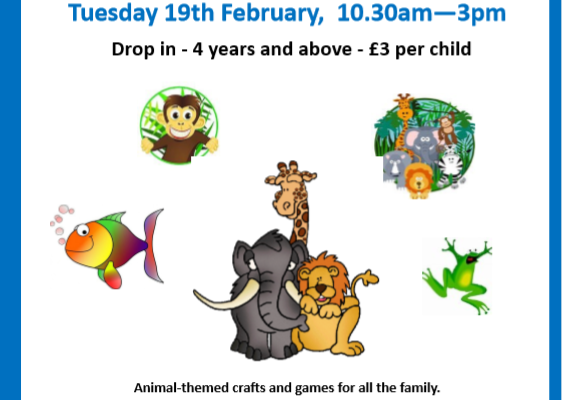 Come and join us for a day full of different animals !